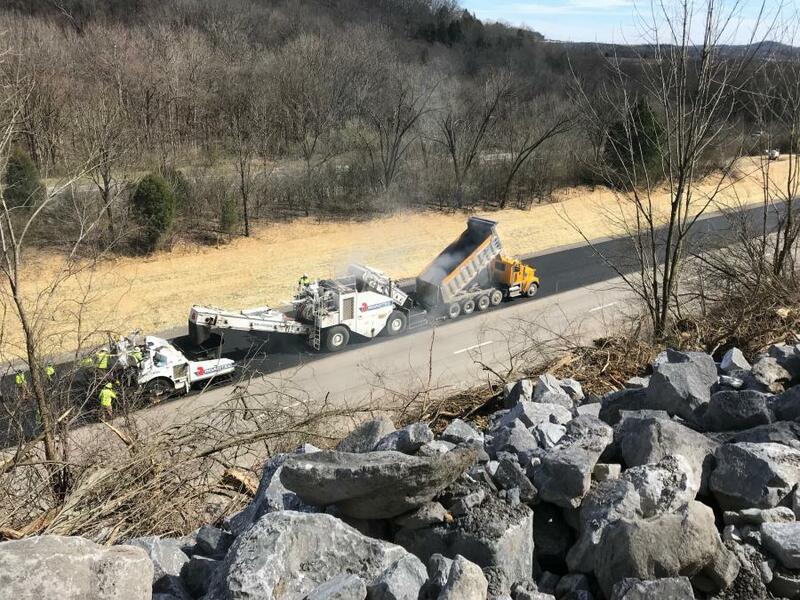 The Tennessee Department of Transportation reopened a section of eastbound Interstate 24 two days earlier than expected following a landslide Feb. 23. The slide, which took place near mi. marker 42, dumped approximately 50,000 cu. yds. of former hillside on the interstate, covering both eastbound lanes for about three-quarters of a mi. along the busy commuter path between Clarksville and Nashville. 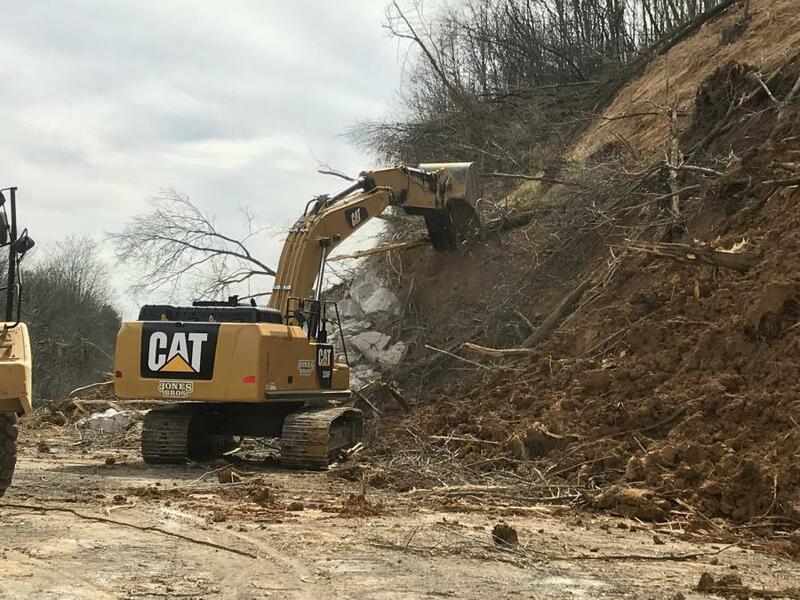 Citing one of the wettest Februaries on record and especially heavy rain late in the month, TDOT Operations Manager Kim Welch said the state has experienced a near-record number of landslides this year. "It's been happening all over Tennessee. Region 1 had a significant amount of slides," she said. "We [in Region 3] had just one, but it may be the biggest landslide I've ever seen." An embankment with a steep hill on top stands adjacent to one side of the interstate. The slide occurred at the presplit rock wall where the slope gets down to grade. "There were a lot of rock outcroppings when we built the road," Welch explained. "We had to blast the rock out." After the rock was presplit to allow construction of the road, she said, the material above rock face became a problem. "It was wet, heavy and holding a lot of water," she said. "The dirt above the rock just sheared off." "The main thing was to stabilize [the hillside] first before we cleared the road," Welch continued. "We needed to stabilize it to get traffic moving." Before that could be done, however, the crew had to build a haul road up the embankment. By the end of a week, the haul road was sufficiently completed to allow an articulated dump truck and two excavators to make it to the top. Additional excavation of the slope continued as material was thrown to the road and then relocated to a decompressed median a half-mile north of the slide site, Welch said. In addition to using an excavator to push dirt over the side, crews removed 36,000 cu. yds. 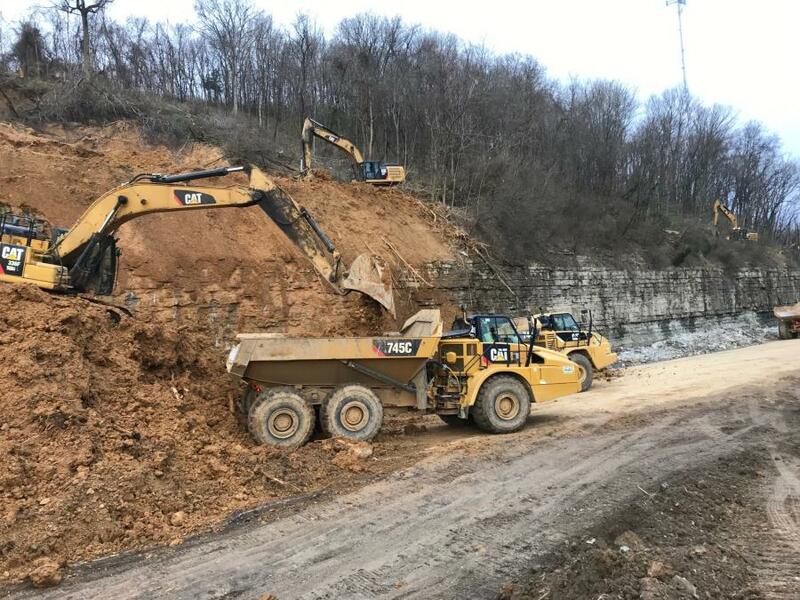 of dirt — out of an estimated total of 100,000 — from the top of the hill in a Cat 740 articulated dump truck, creating a 50-ft.-wide rock bench behind which the rock buttress will be installed. Welch estimated that crews will place 130,000 tons of graded solid rock to construct the buttress as they build up the hillside from bare rock to stabilize the material. TDOT estimated the work will take two to three months to complete. 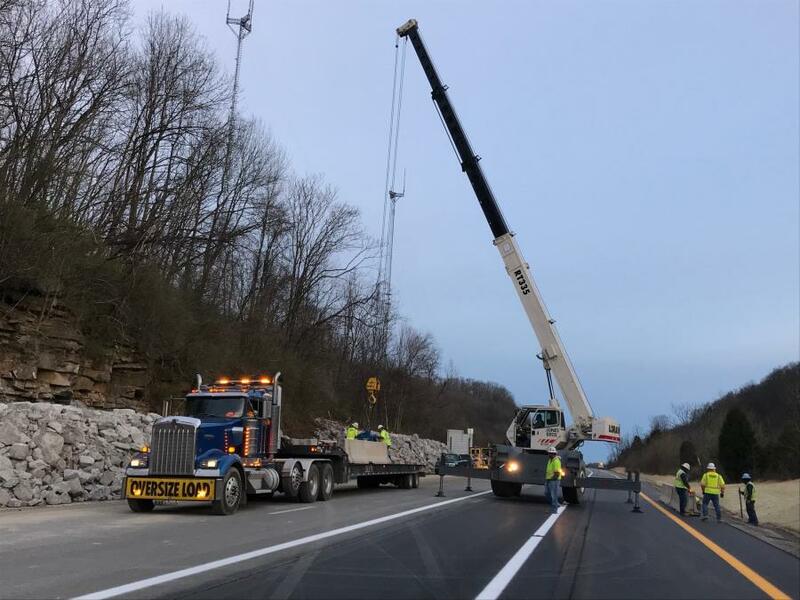 Meanwhile, to reopen the interstate as quickly as possible, TDOT began working on temporarily widening the roadway around the slide. "We had two lanes with an 8-foot shoulder," Welch noted. Crews hauled shot rock to build up the shoulder, added a stone base 22 ft. wide and three-quarters of a mi. long, paved on top of it and added a concrete barrier rail to accommodate two lanes of traffic. The temporary lanes will stay in place until crews have finished cleaning up the landslide and installing a wall to prevent more landslides in the future. "We decided to refocus our forces Saturday on paving the new section, completing the 5,000-foot barrier wall and finishing the striping so we could open the interstate early," said Welch, whose role is to keep things moving — both construction and traffic. Eastbound I-24 reopened to traffic March 13. A 2015 study commissioned by the state deemed the area is at high risk for rock slides, and the DOT was aware of the potential hazard. 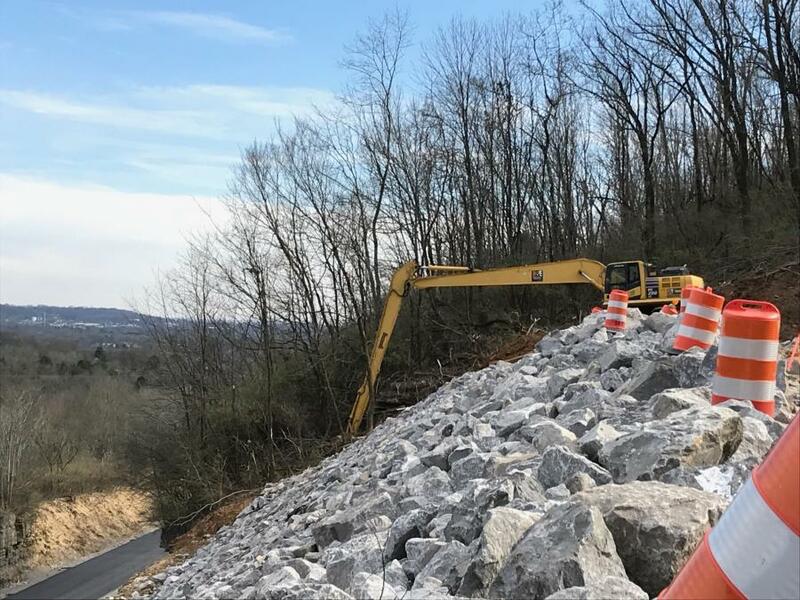 Due in part to the high number of slides in the state this year, however, budgets are strained, and the $8 million price tag for slope stabilization and permanent repair along I-24 will require some difficult budgetary adjustments. Nevertheless, corners are not being cut on safety. 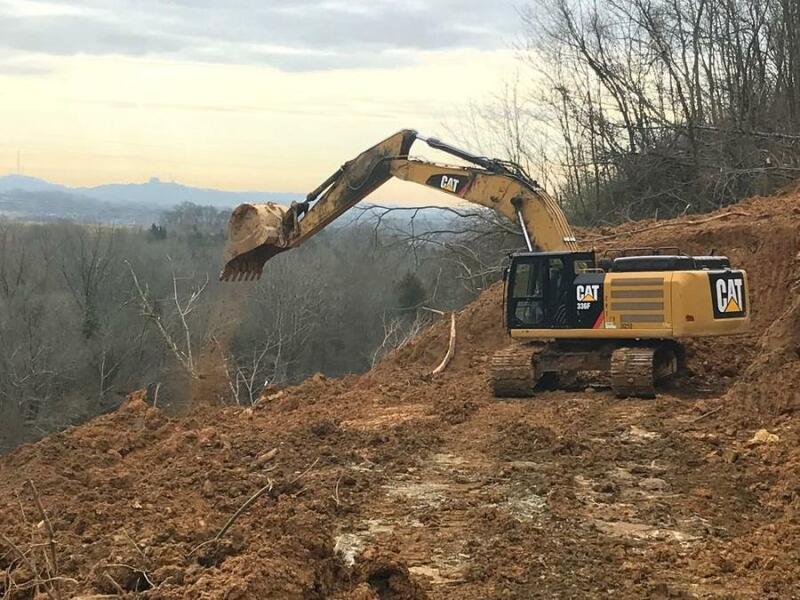 Bidding for the I-24 cleanup was not dependent on cost, but rather on "who could get equipment up there faster — who had material and workforce available," Welch said. It is against TDOT policy to publicize the name of the contractor, she added. A budgetary review committee will evaluate costs as work proceeds, which Welch acknowledged could affect other jobs later. "The road is mostly clear," Welch said. "The top is the issue. They're still stabilizing on top."